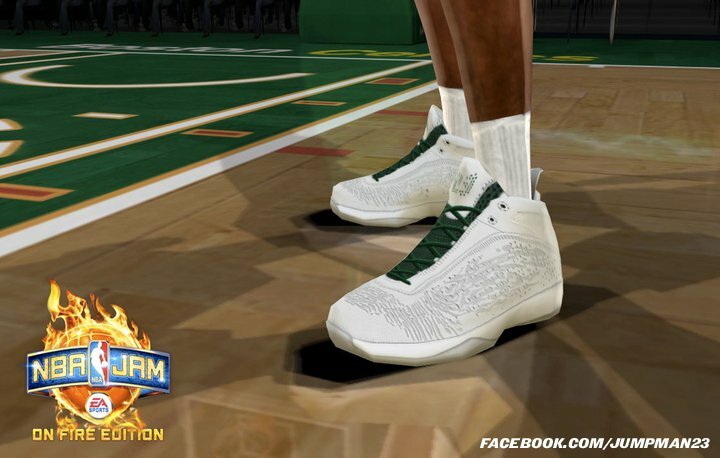 A playable character in this fall's NBA Jam: On Fire Edition video game release, Ray Allen can be spotted wearing home and away colorways of the Air Jordan 2011. Sneakerheads were recently given the opportunity to customize the Air Jordan 2011 when the model made history by becoming the first signature Air Jordan model to surface on NIKEiD. A wide palette of colors creates an endless amount of combinations, but you can bet customizers will be looking in some familiar places for design inspiration. 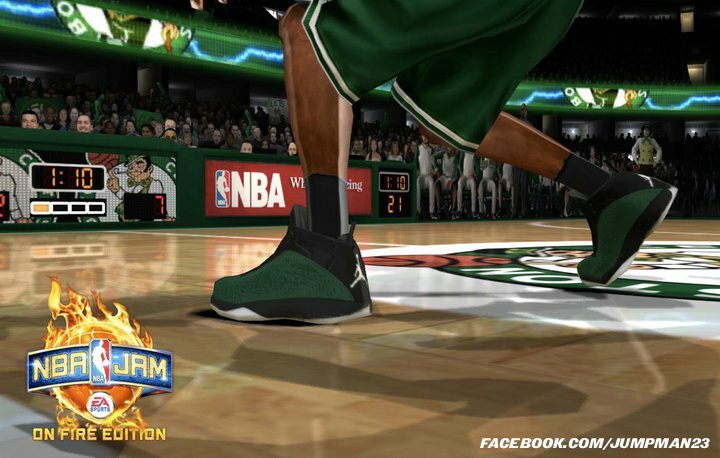 With the popularity of the Ray Allen Air Jordan XIII this summer, you can expect to see a lot of Celtic-themed Air Jordan 2011 iDs surface in the coming months. In fact, if you're a video game enthusiast, the wait won't be very long. 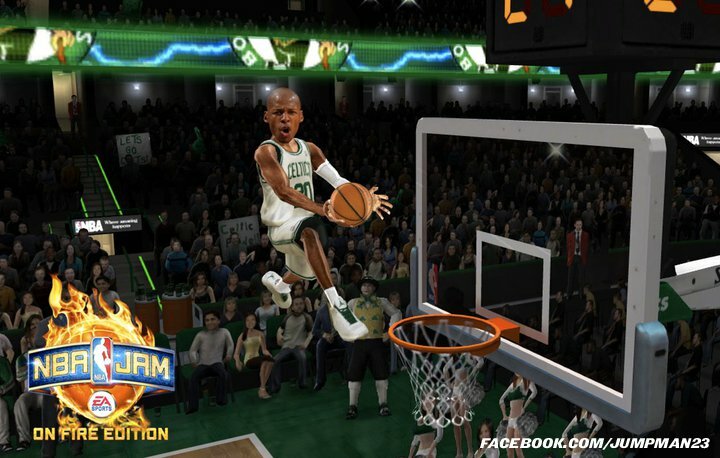 A playable character in this fall's NBA Jam: On Fire Edition video game release from EA Sports, Ray Allen can be spotted wearing home and away colorways of the Air Jordan 2011. For home games, a white-based pair with green accents; the away shoe features a black and green upper with white detailing. 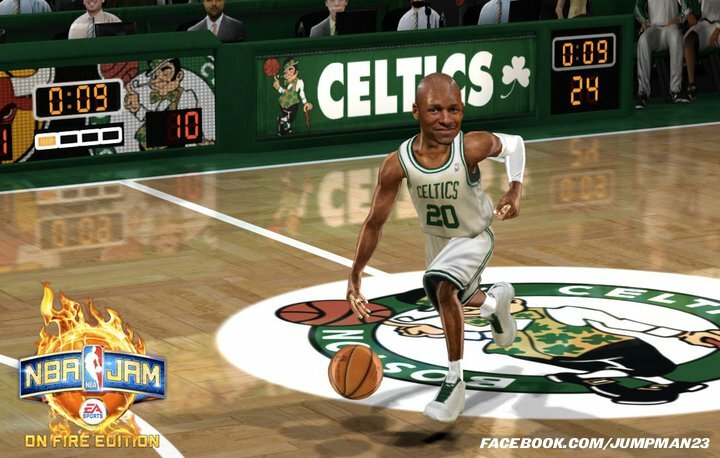 Check out photos of Ray in the video game below and look out for a release this fall.